Maryland Troopers Association > News > Deaths > Death Notification – Retired Sgt. John C. Tormollen, Jr.
We regret to inform you of the death of Retired Sergeant John C. Tormollen, Jr. Our thoughts and prayers are with Retired Sgt Tormollen’s family and friends at this difficult time. 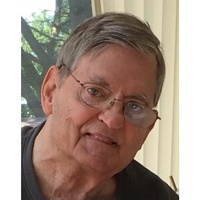 On November 25, 2018, John C. Tormollen, loving husband of Diane Tormollen; devoted father of John S. Tormollen, Patricia Rhoades (Robert), and Deborah Harris; cherished grandfather of Ashley, Brandon, Brett, Zachary, Dylan, William, Ryan, and Cale; dear great grandfather of Vincent and Anthony; brother of Robert Schuerholz, Donald Tormollen, and Joyce Smith. John is predeceased by a grandson, Brian, and a brother, William Schuerholz. John is a retired Maryland State Trooper. Friends may call the family owned Ruck Towson Funeral Home Inc., 1050 York Road (Beltway Exit 26A), on Friday from 10 AM to 12 PM, at which time a Funeral Service will begin. Interment private.